Thousands of people could be given chance to contribute directly to a new version of the controversial Shoreline Management Plan. 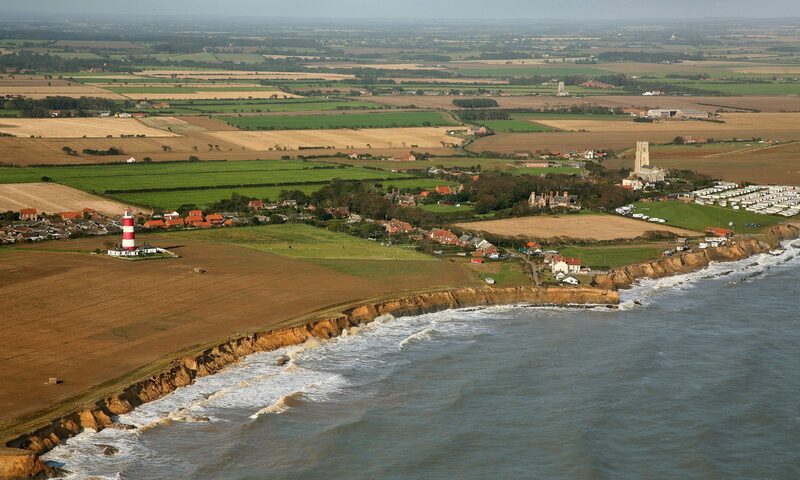 Instead of simply being able to react to the current draft version, which has caused anger along vast stretches of the Norfolk coast, ordinary people would be able to take part in the process leading up to the creation of a new plan. It effectively turns the usual process on its head – instead of writing a report and then consulting on it publicly, the consultation would come first. The study would include a series of workshops on a community-by-community basis, with ‘full reporting of each', taking place between October and March. It would mean community groups, parish councils, church parishioners, clergy and residents associations could take part. And next May there would be a 'mega' workshop held at North Norfolk District Council’s offices in Cromer. Prof O’Riordan, who works at the school of environmental sciences at the University of East Anglia, said the study would explore practical and locally acceptable ways of creating a revised plan for the district council area. A final report ready for talks with national agencies involved in coastal defence and funding would be ready by July 2006. Prof O’Riordan and his team have asked for £20,000 funding for the study from the district council, to be match funded by other bodies. Although the basic idea of talking directly to all of the communities concerned has been wholeheartedly welcomed by coastal campaigners, they have raised concerns about what will come from it in the long run. Malcolm Kerby, co-ordinator of the Coastal Concern Action Group, said he was very pleased to hear “genuine and inclusive discussion” was being suggested. “It would be a huge step forward to do it this way around. “I would support this money being spent and this work being done if, and only if, the findings are acted on. “Asking people what they think in this fashion and then effectively ignoring what they have said would be pointless, a waste of time and a waste of money. Mr Kerby said the danger was that any work of the nature being suggested by Prof O’Riordan could be steamrollered by government policy, which has shifted dramatically in recent years towards managed retreat. Prof O’Riordan’s bid for the £20,000 from the council will be discussed at a meeting of the council Cabinet to be held on Monday.